Food and Civil Supplies Department of Haryana has released the Haryana Ration Card List 2019 (District Wise). 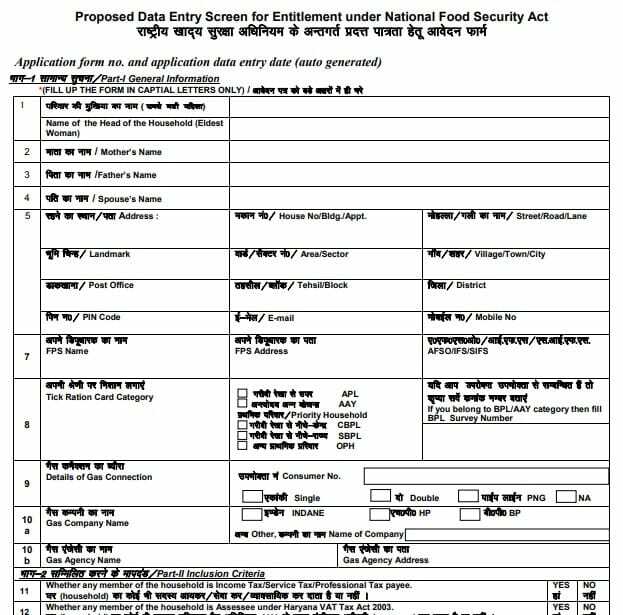 All the citizens who have made fresh registration for the Ration Card can now check their name in the Eligible List of National Food Security Act (NFSA) / APL beneficiaries. Moreover, candidates whose name does not appears in the Ration Card New List 2019 and wants to apply for name inclusion in new Ration card list (राशन कार्ड सूची) can apply in the prescribed format. Ration Card in Haryana is a necessary document for the poor people to take benefits of most government schemes. Accordingly, people can purchase rashan at subsidized rates from Ration Shops located nearby. Haryana Ration Card Apply Form PDF is now available for the general citizens of the state. Haryana govt. has made this ration card new list public to make the process of finding name easier. Now candidates can search their name in the APL BPL List. 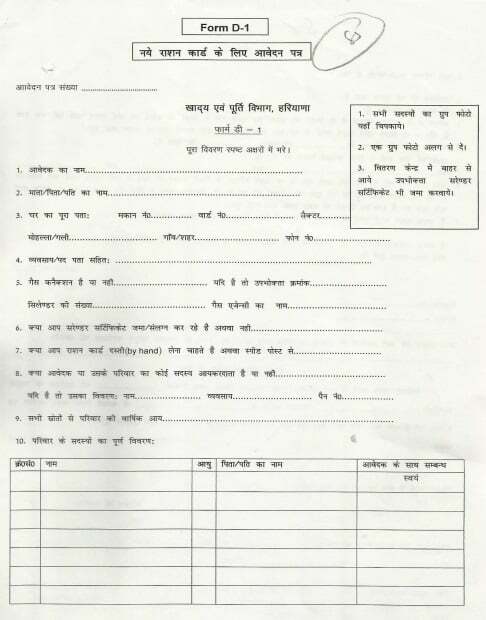 For inclusion of their name in Ration card list (राशन कार्ड सूची), people can also make new ration card form download in hindi Haryana pdf as given below. Here candidates can click at the “Click here to download document” under ‘Ration Card Form (APL)’ section. Here candidates can click at the “Click here to download document” under ‘RATION CARD FORM (NFSA:- AAY, CBPL, SBPL AND OPH)’ section. Here candidates can fill in the complete details and submit the completed application form to the concerned authorities. All the candidates can also obtain the application form for a new Ration card from any circle office / S.D.O office. In case the proof of residence is not available, then the circle FSO / S.I. / M.O. conducts spot inquiries and records the statements of 2 independent witnesses in neighbourhood. Haryana govt. will issue new ration cards for all the citizens whether BPL or APL candidates. It is necessary for getting ration through the distributors at various ration shops. Furthermore, all the citizens can check their name in the Haryana Ration Card New List 2018 at the official website of Food and Civil Supplies Dept. of Haryana. A Ration Card is an essential document issued by the state government for the purchase of essential commodities from fair price shops. There are different ration cards for Above Poverty Line (APL), Below Poverty Line (BPL) and Antyodaya families. It is a very useful document for Indian citizens as it saves money in procurement of essential commodities at a subsidized rate. The ration card in Haryana could also be used as a proof of identification for other documents like Domicile Certificate, for inclusion of your name in the Electoral Rolls etc. 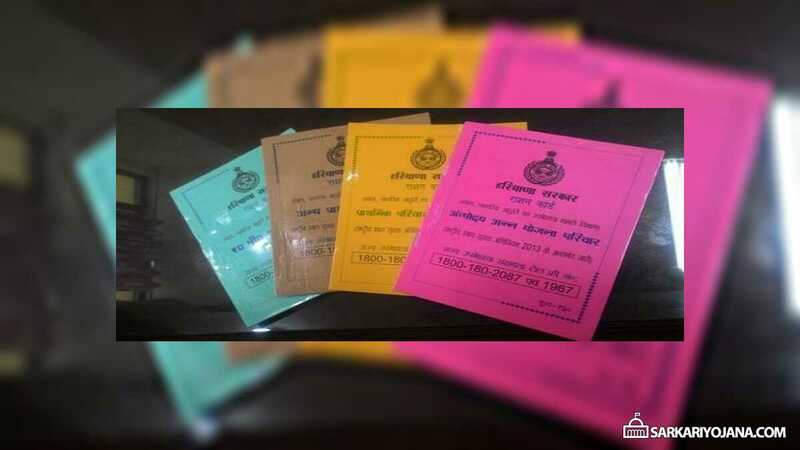 In addition to the permanent ration cards, all the states can also issue temporary Ration cards which would remain valid for a specified number of months and are issued for relief purposes.